For meeting the lock and key requirements of different types of residential accomodation and commercial facilities we provide locksmith services at the local level. The moment we receive your call, we will dispatch our fully licensed tradesman whether you need a residential specialist or a commercial one. We are experts at servicing apartments, condominium units, independent homes, warehouses, hotels, office set up, retail stores and any other type of facility. Our local services focus on the different areas of Sydney and the surrounding areas. The mobile service responds quickly to any type of emergency related to locking and keying issues within the city and its suburbs. So, while our sydney locksmith takes care of the city centre suburbs & CBD, our eastern suburbs locksmith provides the services to the regions surrounding the famed Bondi beach. We provide expert locking systems installation, repair and replacement services to buildings by the beach, around the city, throughout the inner west & all around the St George areas. 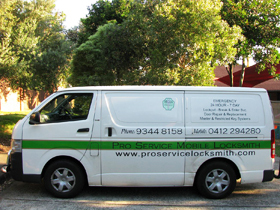 Our mobile locksmiths reach anywhere throughout the Sydney CBD. We arrive in the mobile workshop carrying all the tools and lock opening apparatus required to get the job done as well as a host of new locks and hardware that may be needed. Some areas of Sydney are well known for some special economic activity. Surry Hills is famous for fashion wholesale activities. Our locksmiths know what the best solution is for shop security requirements and therefore provides expert service working in that niche segment of a region. Therefore, we attached a lot of importance to local locksmith services. For, this reason, if we receive a call from an area that has a mix of residence, commercial and industrial buildings, we can send a tradesman to help out and provide a 24hr 7 day service. We provide expert services provided by duly licensed, insured and bonded trained professionals capable of meeting the requirements of different facilities. Do give us a call for residential and commercial lock needs and we will send one of our local locksmiths to you.